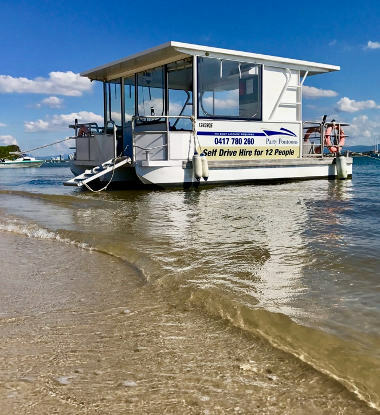 Our Party Pontoons are not just for partying. 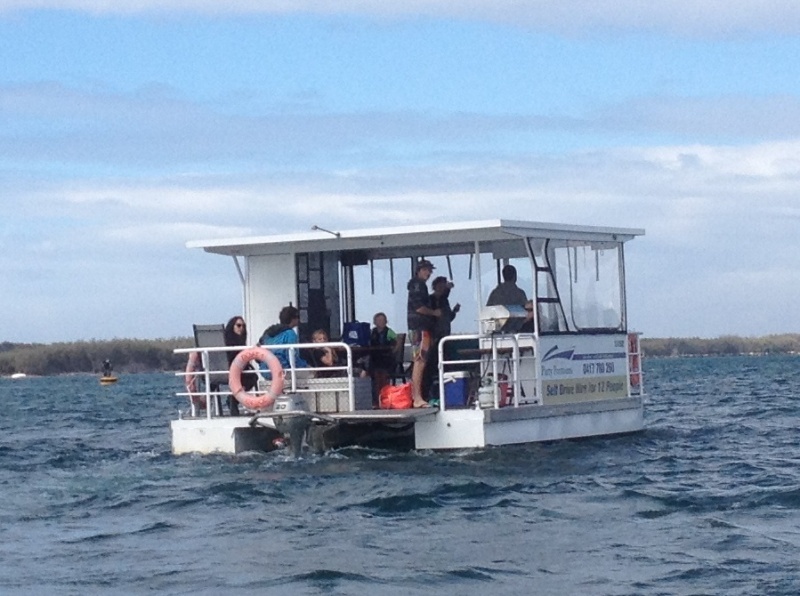 They also make the perfect fishing boat hire platform on the Gold Coast Broadwater. 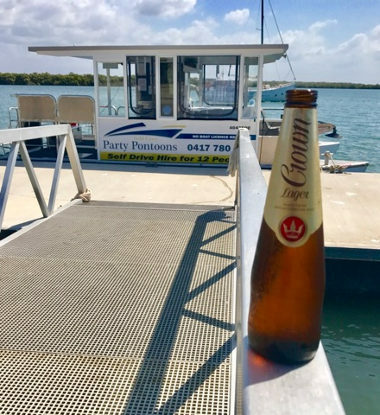 Our custom built Pontoon Boats are wide, stable and low to the water which is exactly what you need when chasing the many great fish species in the Broadwater. But not only that, they are equiped with huge coolers to keep your drinks cold and insulated ceilings so that you never lose your cool either. The stainless steel BBQ is also perfect for cooking up your catch. 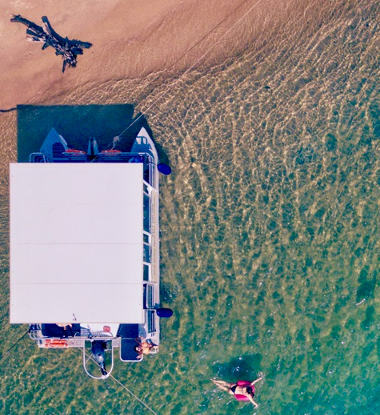 The whole family will love your fishing trips with room to move around for the kids, comfortable padded seating and even a fully enclosed flushing toilet. Bring your own fishing gear or you can use ours (please let us know in advance).